This is not a matter of semantics. Canadian Foreign Minister Chrystia Freeland speaks during a photo opportunity with U.S. Secretary of State Rex Tillerson in Washington, D.C., Aug. 16, 2017. Since the moment it was announced in 2014 by the Harper government, the multibillion-dollar Canadian arms export deal with human-rights pariah Saudi Arabia has been shrouded in controversy. Most recently it has come under renewed scrutiny following allegations that the Saudi regime used violence — and Canadian equipment — to repress civilians in the Eastern Province. Through it all, Ottawa's handling of this file has been nearly as problematic as the deal itself. As a recent Globe and Mail editorial pointed out, this contract "has been a tricky inheritance for the Trudeau government, one that it handled poorly from the minute it came to power in 2015." How ethical, for instance, is the "if we don't arm the Saudis, someone else will" argument used by both Conservatives and Liberals? How transparent were the Liberal early efforts to portray the transaction as a "done deal," even though export permits had not yet been authorized? Yet one element of the government's position stands out as the most egregious and consequential: the wrong-headed demand for evidence of previous abuses of civilian populations committed with Canadian-made military exports, when the key criterion for both domestic export controls and relevant international law is reasonable risk that abuses might occur. This is not a matter of semantics or interpretation. Reasonable risk and evidence of misuse are radically different standards by which to assess export permit authorizations. One is considered BEFORE an export permit is granted, the other AFTER a civilian is maimed or killed. Ottawa, however, has tried very hard to conflate and confuse these standards — with considerable success. Time after time, the government has indicated that only "evidence" of misuse would prompt it to "take action" on the deal. Of course, a reasonable risk that Canadian-made goods might be misused by the Saudi regime — the standard unambiguously established by Canadian military export controls — has been consistently apparent. There is ample evidence of reasonable risk, as it were. And so, efforts to raise the threshold for action (to evidence of actual misuse of Canadian arms exports) are hardly surprising. More remarkable is that this narrative has been largely undisputed, when both Canadian military exports regulations and the Arms Trade Treaty — which Canada will soon join — are just a click away. Campaigners hold a banner outside the High Court in central London, England on Feb. 7, 2017 where the legality of U.K. arms exports to Saudi Arabia is under challenge. Even the Federal Court ruling that rejected the legal challenge of the Saudi deal filed by Montreal professor Daniel Turp seemed to validate the government's flawed logic, combining the distinct notions of "evidence" and "risk" into one highly malleable concept. "For there to be a reasonable risk, there must at least be some connection between Saudi Arabia's alleged human rights violations and the use of the exported goods," said Justice Danièle Tremblay-Lamer. Last year, damning footage appeared to show Saudi forces using armoured vehicles, similar to the ones made in Canada, against civilians. And while the disturbing images revealed the proclivity of the Saudi regime to misuse military exports, Ottawa dismissed this obvious risk because it wasn't clear from the video that those particular armoured vehicles were Canadian-made. The most recent reports are harder to dismiss, despite the Saudi government's public defence of its deployment of armoured vehicles in the violent siege of Awamiya. International arms experts are nearly certain that the equipment shown in recent footage is in fact Canadian-made. Once Ottawa's standard was met, Global Affairs Canada acknowledged the reports, expressed "deep concern," and pledged possible action, depending on the outcome of an investigation. Notably, the latest statements from Global Affairs Canada refer specifically to "serious" human-rights violations. Should we assume that there are less serious, tolerable violations of human rights that would not impact export permit decisions? This incident might have been easier for the government to navigate in isolation or a few years ago. 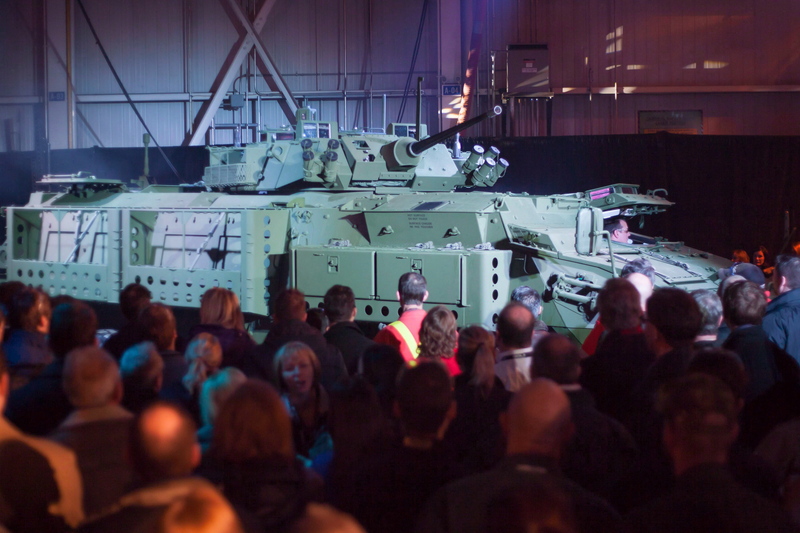 But the ongoing controversy over selling LAVs to Saudi Arabia has undoubtedly heightened the public's awareness of possible Canadian complicity in human-rights violations. The new upgraded Light Armoured Vehicle is unveiled at a news conference at a General Dynamics facility in London, Ont., on Jan. 24, 2012. Further, there are pressing questions about the long-term effects for regional and international security of the excessive accumulation of weapons in one of the most volatile regions in the world. Deutsche Welle recently reported that the Saudi-led military intervention in neighbouring Yemen signals "a more aggressive Saudi foreign policy — backed by billions of dollars in new weaponry — at a time of instability in the Middle East and mounting tensions with arch-rival Iran." 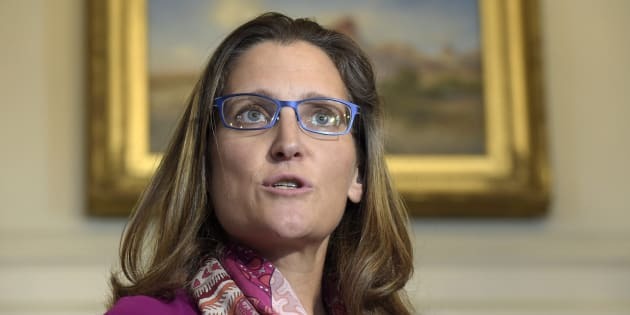 Canadians will closely follow the progress of the investigation announced by Foreign Affairs Minister Chrystia Freeland. And if allegations of misuse of Canadian military exports are confirmed, expressions of concern and indignation with no action will further undermine the public's confidence in Canada's military export controls regime and in the government's commitment to the promotion and protection of human rights internationally. One unassailable fact remains: the key basis for the human-rights assessment of the export permit authorization process is reasonable risk of misuse. If the government continues to deny that such a standard has been reached with Saudi Arabia, we may well have bigger problems than flawed export controls.